The Court Administrator is responsible for the non-judicial functions of the court, subject to the supervising authority of the Chief Judge. The primary areas of responsibility include management of the combined budget for the court, jury services, public law library, juvenile probation, juvenile records, adoptions, reimbursement office, court technology, court services, and the public defender program. 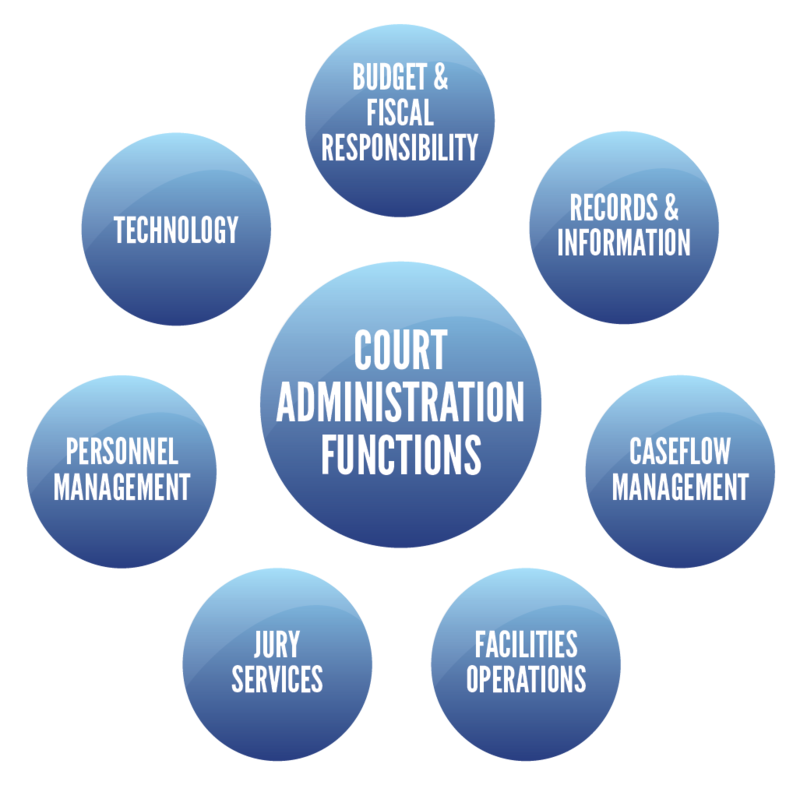 The office of the court administrator is also involved with caseflow management and mandatory caseload reporting, facilities operations, court personnel and the development of best practices in the areas of records, information management and technology. The functions of the office of the court administrator are supported by an administrative leadership team, with expertise and responsibility to carry out the duties of the court.